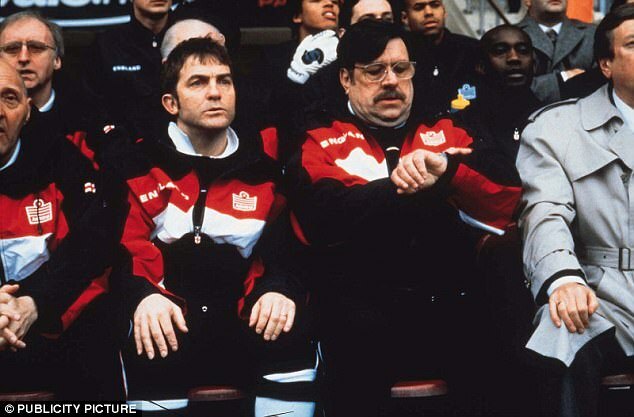 It would be enough to put a smile on the face of Ricky Tomlinson’s Mike Bassett England manager – Real Madrid are on their way to making Champions League history and they are doing it by playing 4-4-2. The much-maligned fallback option for the tactically impaired, the so-called archaic system that Tomlinson parodied and that countless England managers have been lampooned for leaning on is exactly what Real Madrid supporters have been calling for, for months. 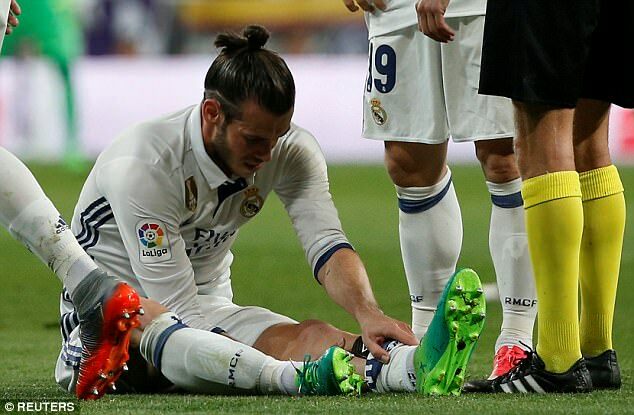 And with the long-term injury to Gareth Bale it will be what they use on Wednesday night as they try to finish the job they started so impressively last week. They are so close to becoming the first team to retain the Champions League and if they do it it will be playing 4-4-2 and smothering teams in the middle of the park. That was the case last Tuesday as Real marmalised Atletico Madrid, passing them into submission, and they are planning for more of the same again. No Bale means no BBC front three of Bale, Karim Benzema and Cristiano Ronaldo. The latter two will start up front and Luca Modric, Casemiro, Isco and Toni Kroos will fill midfield. That is how they will line up from right to left at kick-off, although they will narrow into a diamond as the night goes on with Modric and Kroos tucking in ahead of the deep-lying Casemiro and the roaming Isco. Flying South American full backs Danilo and Marcelo will provide the width. Last week the results were very impressive. 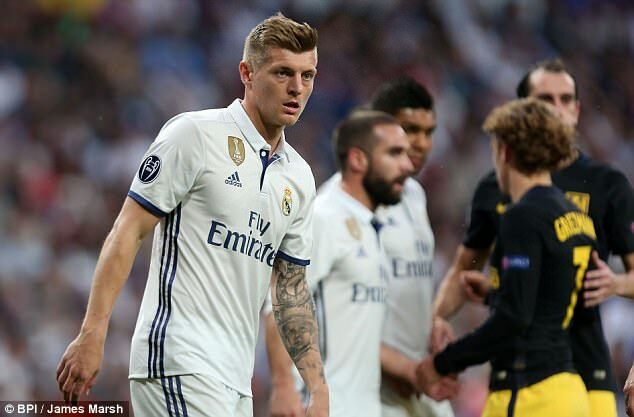 Opta statistics showed Kroos played 100 successful passes from 104 attempted – a 96 per cent success rate. His passes represented 14.8 per cent share of the entire team’s passing according to Marca and alongside him Modric’s numbers were not far behind. 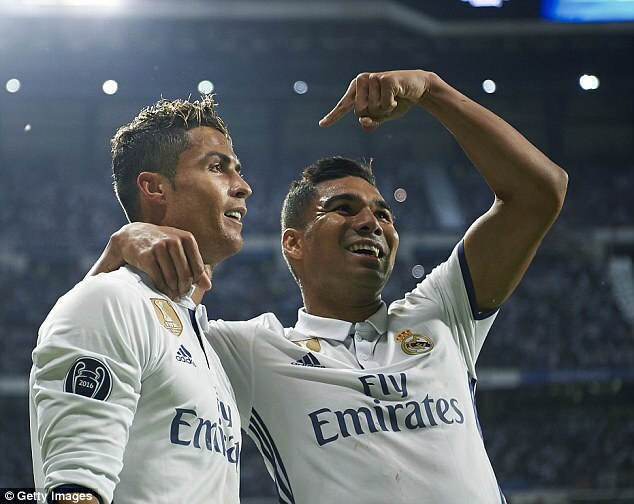 Those two love this system because it gives them a galavanting full back on their outside, the stability of Casemiro behind them and three options ahead, with Ronaldo and Benzema invariably taking up wider positions and leaving Isco to fill the holes. 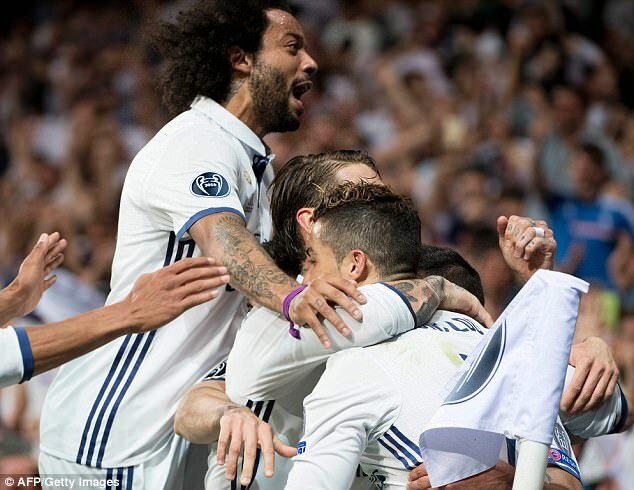 It’s also a system that suits the bench because Marco Asensio, James Rodriguez, Mateo Kovacic and Lucas Vazquez can all add their qualities to the midfield mix. Asensio and Vazquez came on in the second half of the first leg and both set up goals. Rodriguez was an unused substitute but then started the weekend league game against Granada when he scored twice. This is the new blueprint – the masterplan going forward that will suit Eden Hazard if he joins from Chelsea but will also favour the make-up of the current squad if he doesn’t. For Bale it makes things slightly more difficult, although he will still walk back into the first team for the Cardiff final if he is fit. In what capacity he is there remains to be seen. Sportsmail understands there is no chance he will play any further part in the league campaign that ends in 10 days’ time away at Malaga. But the Champions League final is not until June 3 so there is, according to the team around him, ‘hope’. He has played such a massive part in the last two Champions League titles that Madrid have won that Zidane will not pass up the opportunity to use him if he is at 100 per cent, but such as been the success of Madrid’s very distinctive 4-4-2 he might have to come in for Benzema in attack so that the Madrid midfield quartet can be allowed to take on Juventus in Wales.